I highly recommend The Wandering Gene and the Indian Princess: Race, Religion, and DNA by Jeff Wheelwright, an excellent piece of history and journalism. It involves the genetic tracing of a Hispano community that descends from mixed Spanish and Pueblo/Apache American Indians. They had valued light skin, generally, and “had wallpapered over” their Native American ancestry. Genetic testing revealed that they also descended from Sephardic Jews persecuted by the Spanish Inquisition, though some of them rejected the DNA science and the recommended breast cancer scans. It is a cautionary science vs. religion tale about the value of DNA testing. 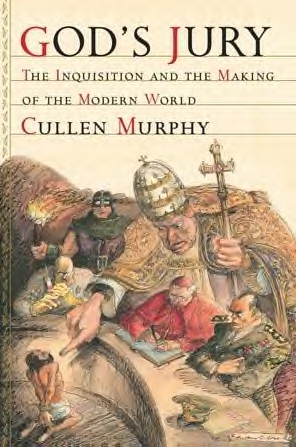 GOD’S JURY: THE INQUISITION AND THE MAKING OF THE MODERN WORLD by Cullen Murphy. The editor-at-large from Vanity Fair takes on Bureaucracy and draws connections between the Spanish Inquisition and the current Pope, between the tortures of dissenters throughout the ages and more pointedly with reference to what has happened in the post-911 United States. Recommended. PAPER PROMISES: DEBT, MONEY, and THE NEW WORLD ORDER by Philip Coggan. Another incisive work on the nature of our on-going finiancial crisis. Nicely done, though this one did not affect my thinking nearly as much as Margaret Atwood's Payback: Debt and the Shadow Side of Wealth. TRIGGERS by Robert J. Sawyer. Looks like another good one from a sci-fi mainstay, always mixing philosophy with speculative science. SACRE' BLEU: A COMEDY D'ART by Christopher Moore. Wow, I love the book art here, which includes a colorful map of Paris. Moore is also the author of several irreverently comic romps including Lamb: The Gospel According to Biff: Christ's Childhood Pal, which looks like a Bible on the bookshelf. This time it's Vincent van Gogh. CITY OF BOHANE: A NOVEL by Kevin Barry. Another comic romp set in the satirical future. Everyone is touting this Irish author, praising his word-play and daring. So far, count me in too. 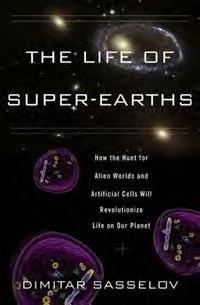 THE LIFE OF SUPER-EARTHS: HOW THE HUNT FOR ALIEN WORLDS AND ARTIFICIAL CELLS WILL REVOLUTIONIZE LIFE ON OUR PLANET by Dimitar Sasselov, Professor of Astronomy at Harvard. Speculative science and quite interesting. BIOGRAPHY OF A BIRD DOG: A LABRADOR RETRIEVER IN WYOMING by Garry Wallace. This little known gem from 2007 turned out to be one of my best books of the year. A splendid piece of creative non-fiction written in beautiful prose. I'll post my review soon, along with an interview with this talented author.